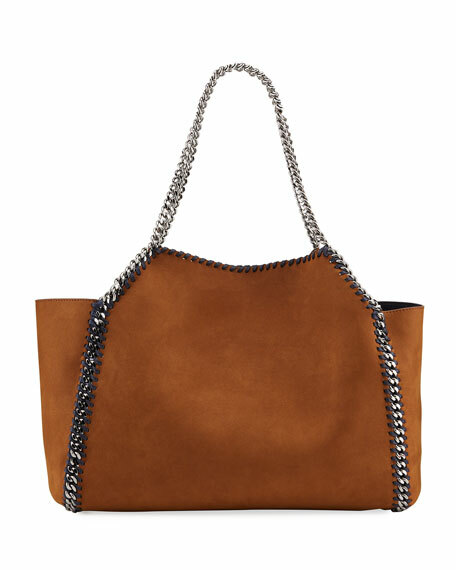 Stella McCartney smooth faux-leather (polyester/polyurethane) tote bag. 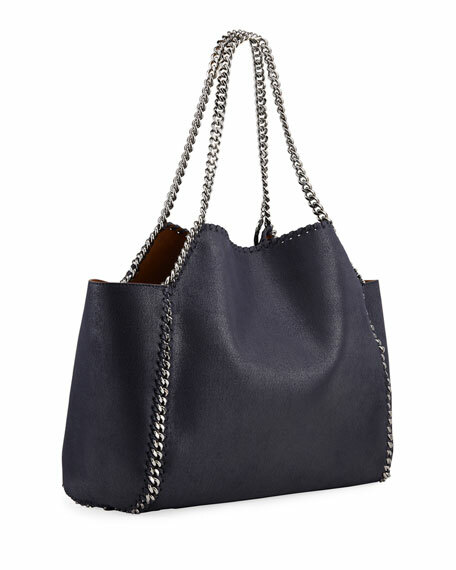 11.8"H x 14.6"W x 6.3"D.
Marc Jacobs pebbled leather tote bag with contrast stitching. Flat shoulder straps. 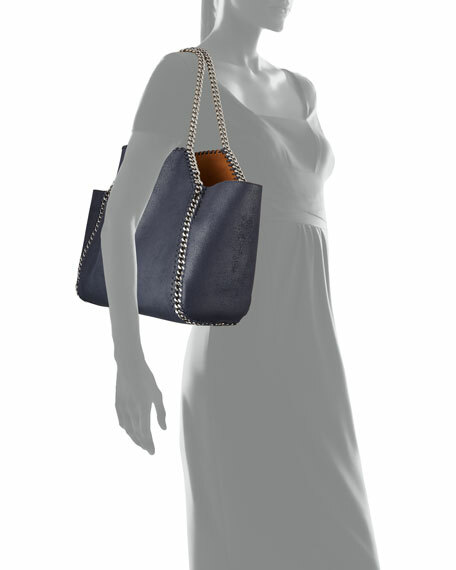 Open top; two-way zip-around top closure. Exterior, hanging covered key and padlock. Logo lettering at top center front. Interior, contrast polyester lining. One zip and two slip pockets. 7.7"H x 8.3"W x 4.3"D. "The Editor" is imported.